SUBHEAD: EPA closes Pflueger case on Kauai but ignores other owner's environmental violations. Image above: This photo from 2004 was taken prior to environmental damage caused by this unauthorized grading and landscaping by retired car dealer James Pflueger on his Pila’a property. 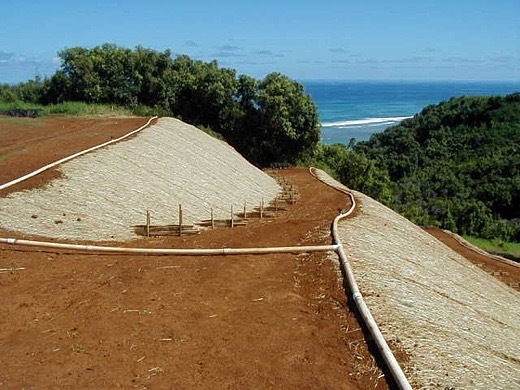 From (http://www.staradvertiser.com/breaking-news/pfluegers-environmental-repairs-on-kauai-shoreline-meets-epa-muster/). This case is a tragic case of selective enforcement against one man while surrounding him were numerous persons and politicians doing far worse to the Environment with their own illegal digging and construction in Habitats for Endangered Species. Instead of self-congratulatory news releases, your organization should be shamefully quiet and reflective.